NAA Update: The £7.6 trillion per year opportunity – are you ready? The strategy includes incentives for consumers, but it’s also big news for NAA members, because the government‘s mission is to put the UK at the forefront of an industry that is estimated to be worth up to £7.6 trillion per year by 2050. The government says that the strategy ‘sets the stage for the biggest technology advancement to hit UK roads since the invention of the combustion engine’. 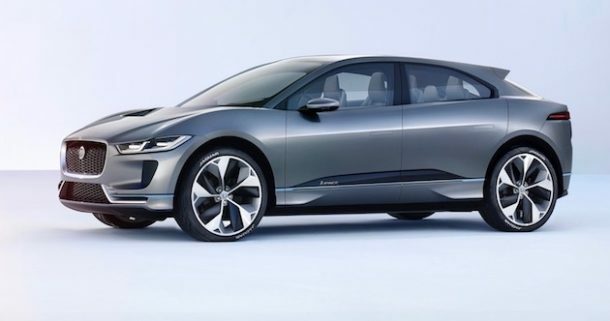 The strategy confirms the UK’s ambition to see at least half of new cars to be ultra-low emission by 2030 as part of plans to make ‘the UK the best place in the world to build and own an electric vehicle’ (a ‘ULEV’ is currently a vehicle that emits 75g/km CO2 or less, but the strategy states that the government is yet to ‘set out definitions of ultra-low and zero emission vehicles that local areas may adopt’). Is your company ready for this opportunity? Please speak to me about your plans. As the news of the Road to Zero release broke, I was one month into the life of my BMW i3. After many years of company cars I found that choosing a new car, or its arrival, lost the excitement that it used to have when I was younger! However, this time it was different. We took delivery in June of our i3, nicknamed ‘Hexy’ as it helps me to remember the registration plate – and it’s the first time that I have ever named a car. BMW know how to provide a vehicle handover – we were taken to a room with a most impressive wall-sized picture of Preston and we were able to drive it out of the showroom. We went for the range-extender version as our car use is changing and we were not convinced that a battery-only version would be right for us, and also on the advice of Paul Clarke. One month and one thousand miles later I have really enjoyed not only driving ‘Hexy’ but also understanding our usage, including where and how to get electricity into her, and the ease of use. Only once has it dipped into the range-extender and that was after a return trip to Burton-On-Trent. I have ‘topped-up’ on the motorway three times, only paying once, as the app wasn’t functioning correctly to take my money on the other two occasions, but it still delivered power! We also took benefit of the government grant for home charging units and got ourselves a PodPoint. We haven’t noticed any difference in our electricity consumption at home and paid £2.19 on the motorway, so that’s cheap motoring in my books! We have yet to try one of our regular longer distance journeys to either Norfolk or Dorset, but it will happen soon. Verdict so far is 10/10. On 26th June I had the privilege to be invited to attend the International Women in Engineering Day, a Women’s Engineering Society (WES) event held at the Royal Academy of Engineering. It was for the 2018 Top 50 Women in Engineering (Returners and Transferrers) and what an impressive bunch! As I commented to one, I’m ineligible having always been in engineering, and only taking extended maternity leave of one year in my company! So why do I mention this? I could only see that one of the recipients came from the automotive industry – Katie Atkinson, a Materials Engineer at Jaguar Land Rover. Surely, we can do better than 1 in 50? Currently 12% of women are in professional engineering roles. WES is 100 years old in 2019 (I joined in 1977) and they are going to be launching their vision of 30% women in professional engineering roles by 2030. So with plenty of research that shows that performance and productivity is better with a diverse workforce, what is your answer to these questions? a) Is 12% of your professional engineering workforce female? b) What are you going to do to increase your percentage of your female professional engineering workforce? Enjoy the summer and your holidays as our next newsletter will be late August.